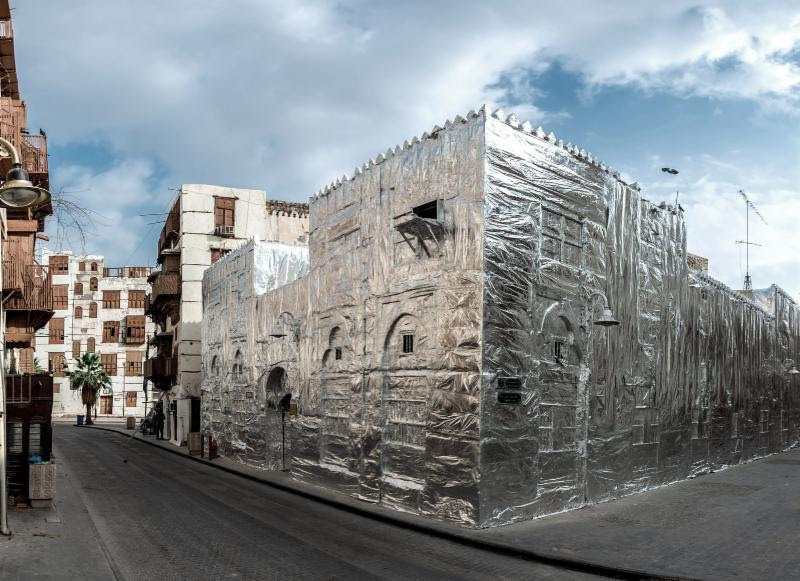 Salt Lake City, UT - The The Utah Museum of Contemporary Art (UMOCA) is thrilled to present Cities of Conviction, an exhibition of contemporary Saudi Arabian art. In partnership with the King Abdulaziz Center for World Culture and CULTURUNNERS, Cities of Conviction is an exhibition of contemporary art from Saudi Arabia. While the artworks have been curated by UMOCA, this exhibition and program are part of a ten-city cultural tour across the United States. Cities of Conviction presents works from artists who are engaged in looking at the struggle and transformations of Saudi society, and who delve into complex issues linking Utah and Saudi Arabia, such as natural resources, pilgrimage and tension surrounding commercial development around cultural heritage sites. Cities of Conviction is to be exhibited in the Main and Codec galleries of UMOCA, located in the heart of downtown Salt Lake City, and adjacent to Utah's most recognizable religious site, the LDS Temple. This site is a place of pilgrimage, but is also the center of a commercial development boom, just as Mecca is experiencing now; our state is currently engaging in issues surrounding oil and land preservation, just as Saudi is attempting to diversify its economy. From sacred lands to the way society condemns or accepts religious practices, each unique culture connects to one another in a variety of ways. Contemporary art has always been at the heart of these very human connections, bringing to the forefront the most pressing issues of our national and global cultures. Join us on August 25 from 7 to 9 p.m. for the opening reception of Cities of Conviction, as well as Michael Anthony García and Jaime Salvador Castillo's whereABOUTS and Al Ahad's The Hijab Projectin the Ed. Space and Jason Manley's Shrinking Room in the A-I-R Space. There is a suggested donation of $8, and light refreshments and a cash bar will be available. 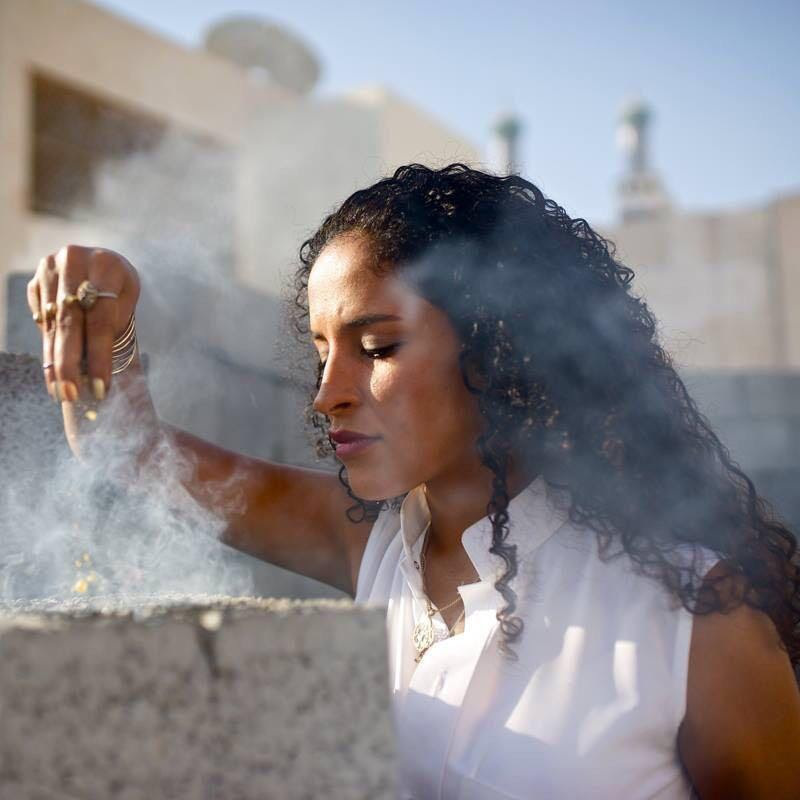 Balqis Al Rashed is UMOCA's first international Artist-in-Residence. Balqis Al Rashed was born in Riyadh, Saudi and raised in Beirut for sixteen years. She attended the American University of Beirut from where she attained her Bachelors of Fine Arts in Graphic Design. Her time there was seminal for the deconstruction of her sense of identity. It was during this time that she found and cultivated her voice and artistic expression as one that expresses her multiculturalism as well as her individuality. This particular academic background has created and influenced her process and aesthetic. She moved back to Saudi in 2009 where Al Rashed has worked in several private companies. She also taught and lectured Design in local universities. In 2010, she co-founded Qabila Apparel, a homegrown Khaleeji clothing line. She participated in March Project Residency 2015 at Sharjah Art Foundation where she exhibited her first big scale installation Once, we fell from the sky and landed in Babel. AlRashed has been featured in various media platforms such as Mashable, Instagram's official profile and blog and others. Her current work focuses on the creation of meanings, practices and dichotomies in respect to the collective, identity and the self. The Utah Museum of Contemporary Art (UMOCA) has advanced and elevated the community of contemporary arts and culture since it was established in 1931. UMOCA is a fearless voice for innovation, experimentation and dialogue surrounding the topics of our time. Located in the heart of Salt Lake City, UMOCA invites curiosity and promotes understanding of the challenging concepts that art and its reflective social commentary can present. UMOCA is a force for social transformation that unites all points of view, backgrounds, experience, and ages through pertinent art exhibitions and educational programming. UMOCA evokes change, challenges ideologies, celebrates triumph, and introduces an array of contemporary voices with in the Museum and throughout the community.